The world is hungry for palm oil. Around 60 million tonnes of palm oil and palm kernel oil are produced on more than 17 million hectares worldwide – equivalent to half the total area of Germany. And the trend is rising due to ongoing population growth, increasing use of palm oil in consumer goods, and increased demand as a source of energy. The bulk of new palm oil plantations are still being established on forest land. Despite the introduction of a moratorium on new palm oil concessions on forest land and peatland in Indonesia in 2011, the area under palm oil plantations grew again in 2012 and 2013. Since 1990, i.e. within about 25 years, the global palm cultivation area has almost tripled. In view of the adverse environmental impacts of palm oil production there have been repeated calls for a palm oil boycott. While this sounds like an easy answer, the advantages from substituting palm oil with other vegetable oils are often not yet fully understood. 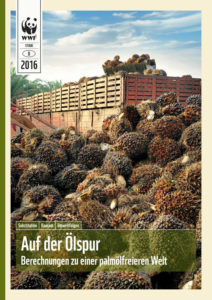 Against this background, the present study written for WWF Germany by Steffen Noleppa and Matti Cartsburg (both HFFA Research) explores the impacts of palm oil consumption in Germany and explains the effects resulting from of the substitution of other plant based oils for palm oil. In a first step, the study determines the sectors in which imported palm oil is used in Germany. For the first time the authors where able to successfully track down 98 % of German palm oil consumption for one year. 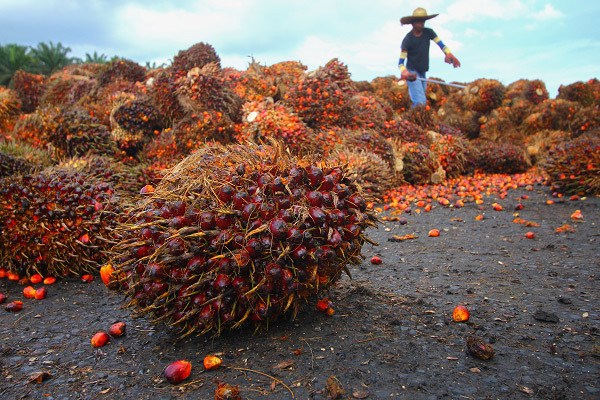 The second step involves an assessment as to which vegetable oils are technically suited to replace palm oil. Finally, the study looks at the land consumption associated with the different oils, as well as the resultant greenhouse gas emissions and loss of biodiversity, in order to examine the impacts of palm oil consumption in Germany and its substitution. While the study used German palm oil consumption as an example, most results and recommendations can also be applied elsewhere. The authors come to the conclusion that the replacement of palm oil through other tropical plant-based oils does not lead to the desired effects. On the contrary, an indiscriminate substitution of other vegetable oils for palm oil would not solve the problems but only shift them elsewhere and exacerbate them. This is particularly true where palm oil is replaced by coconut oil or soya oil. Their analysis then shows that a simple call for a boycott would not be sufficient to avert the negative ecological impacts of palm oil consumption. The analysis also shows that if palm oil was replaced by domestically produced oils such as rapeseed and sunflower oil there would be less of a burden on biodiversity, as species diversity in Germany is much lower than in tropical countries. However, land consumption and greenhouse gas emissions would still increase. The authors conclude that whenever possible, companies should substitute palm oil with domestically grown oils, while the share of current palm oil imports which cannot be substituted must in future be produced in a more environmentally and socially sound manner. Several measures to be taken by the industry, consumers, and policy makers are presented in the conclusions. The full version of the study can be downloaded on the WWF website. For more information on the study, please contact us.